Organic because we should be, not just because we can. Our hand-made, 48-hour, fermented bagels have won internal New York Times tasting competitions and, whenever we can, our ingredients are sourced from local shops in Northern California. 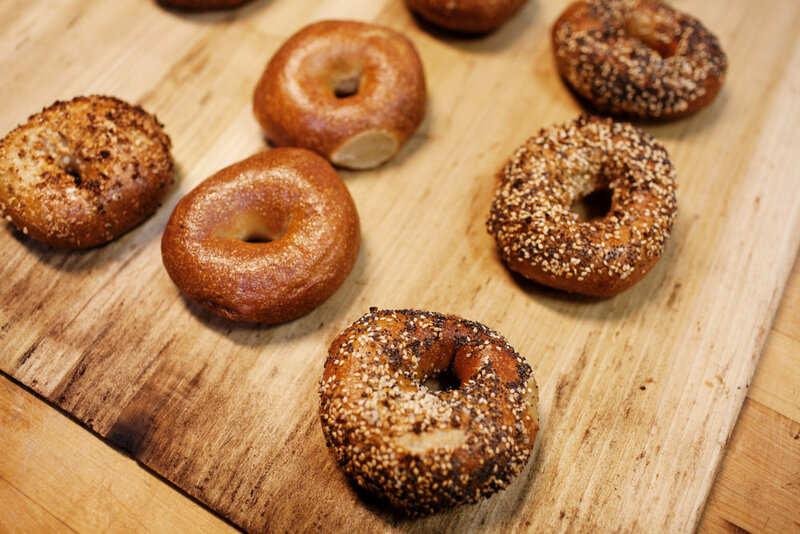 If we don't make your favorite bagel, it's because you haven't had one yet. 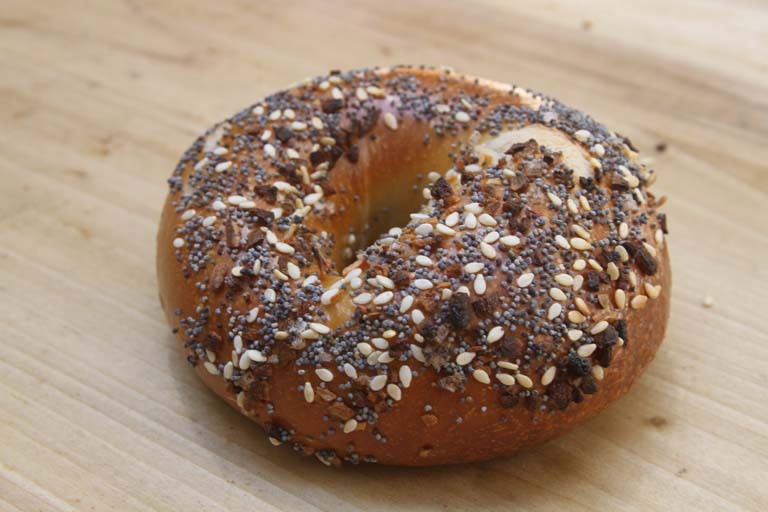 Our crunchy, dense bagels can be found in grocery stores, cafes, and corporate offices around the Bay Area. 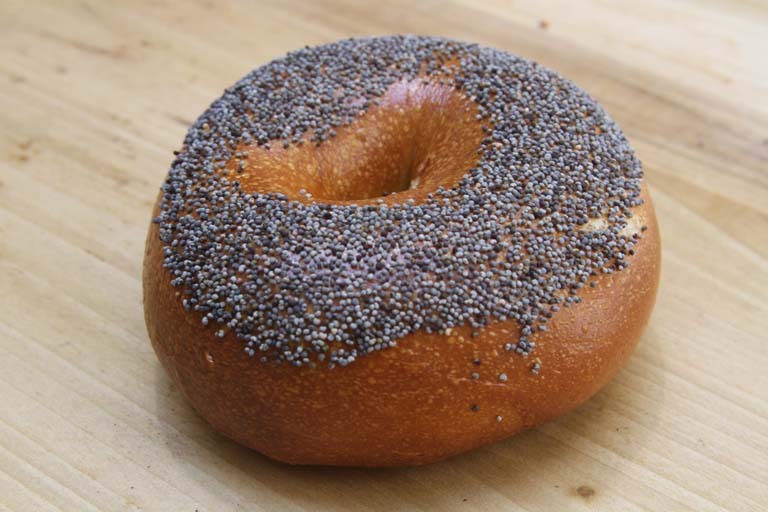 "Risky Baking: It’s Hard to Make a Perfect BageL..."
"Why Is It So Hard to Get a Great Bagel in California?" "In the Bay Area, Bagels as Good as Brooklyn’s"
"The Perfect Bagel Is Engineered in California"
"Baron Baking and the Science of Bagels"
"HAS CALIFORNIA ENGINEERED THE PERFECT BAGEL?" "Big bagel boom hits san francisco"
"Hardly strictly bagels: Two new outfits..."
"Oakland Baker Now making perfect..."
You want some bagels, and we want to sell 'em to you. * Minimum order size for pick up is one dozen. Due to our production process, 48 hours advanced notice is required. Send Dan an email at the address below. Thanks! To inquire about setting up an account, please e-mail Dan and we'll get back to you asap.